August 28, 2014 will make two decades since the poor of Haiti lost one of their greatest champions. 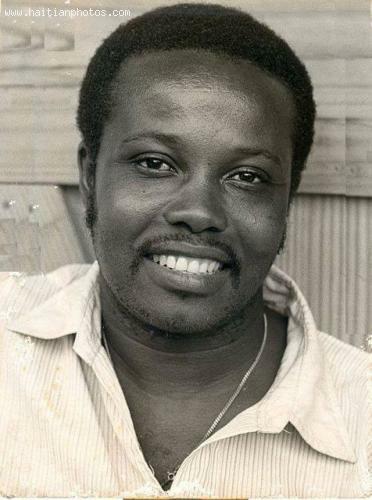 Father Jean Marie Vincent's murder was considered to be as a result of his affiliation with ousted leader Jean-Bertrand Aristide, and left a huge gap in the lives of the thousands he touched through his programs designed to uplift the poor in literacy and economics. His death had come as a massive shock as, even though many other religious leaders had been beaten, exiled and imprisoned in the country, none had been killed since the start of the military rule following the coup in 1991. From Washington, Aristide took the news in stride and expressed an optimism that the work he had done would not be undone by the killing of Father Jean Marie Vincent, a man who possibly saved the ex-president's life in 1987, when he threw himself between Aristide and his attackers, sustaining a wound in the head. Witnesses say that vehicles holding members of the Anti-Gang Unit of the army pulled upon the priest at the front of his rectory and shots were fired. The legacy of that day also includes a telling of how, to ensure the death of Father Jean Marie Vincent, who still clung to life, those guilty led the ambulance carrying him slowly to the hospital, allowing him to bleed to death. While tried and convicted a year later for the assassination of another man, two of the three accused, Captain Jackson Joanis and Sergeant Jodel Chamblain were released under the regime of their third hand, Lieutenant Youri Latortue.